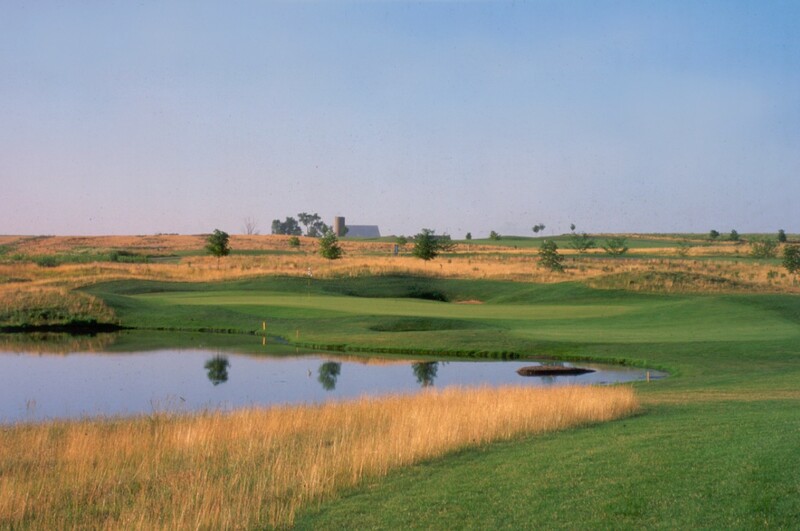 Located in the midst of an upscale community, Hunters Ridge is an excellent example of opportunistic planning. 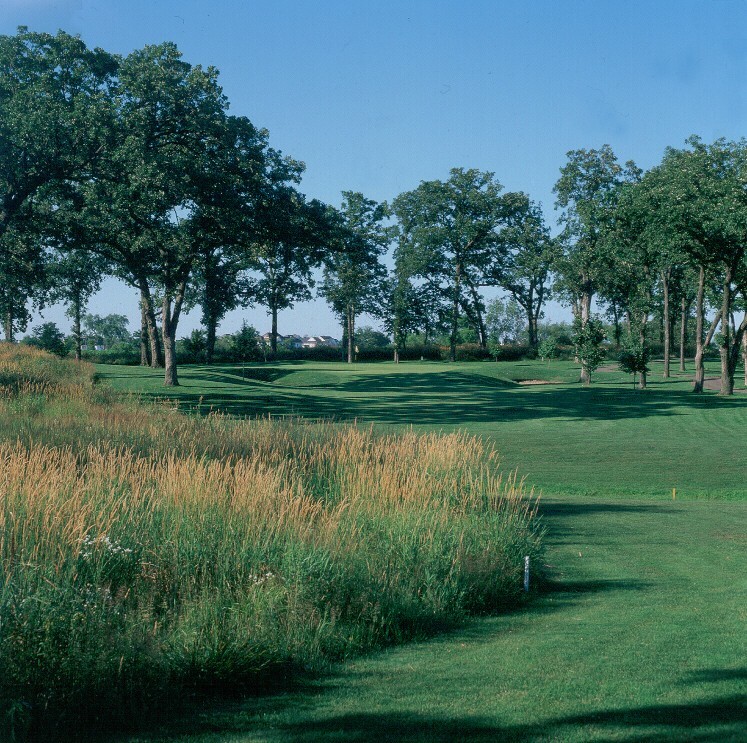 In order to maximize views, the developers built housing along the hillsides of the property, while reserving the lowland and wetland areas for the golf course. 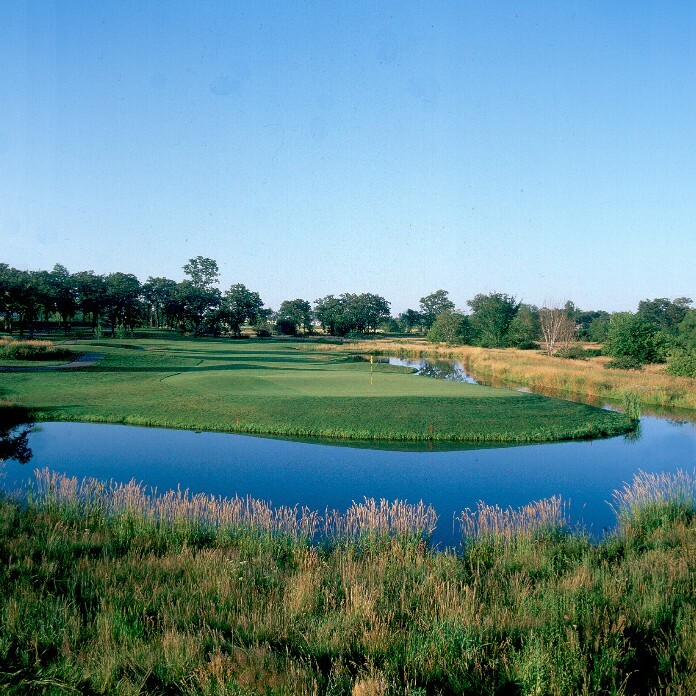 This approach allowed spectacular views for residents while providing dramatic golf holes that are framed by the existing oak savannas and enhanced wetland areas.